Rhino is one of the tools in the design and production of a new concept in luxury yachts. 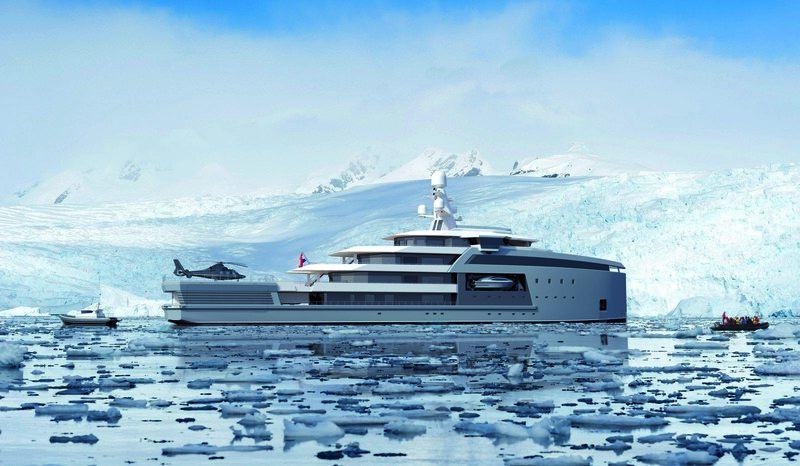 At the Monaco Yacht Show last fall EYOS Expeditions launched a yacht for owners who want more than a party palace. Their SeaXplorer is capable of exploring most any waterway of the world, but with the luxury typical of a luxury yacht. All this with luxurious comfort in the cabins, mess hall, hospital, gym, and internet cafe designed by Amels luxury yachts, known for their high-quality interiors workmanship and design. For the production, Azure, a yacht design studio, produces hand-drawn sketches. Damen, the Dutch commercial shipping giant, adds its engineering expertise with team reviews. When they approve the design is translated into a full 3D model in Rhino.